Ah, the spring has finally arrived. We couldn’t be happier! Spring is a great season here at Trade Mark Design & Build. 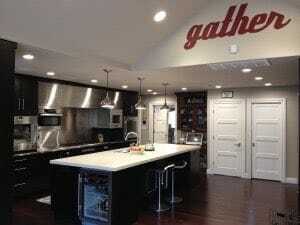 Many households find this to be the perfect time to partake in a home renovation or NJ kitchen remodeling project. We agree! Spring marks a fresh start, so why not take that fresh start to the next level and ensure your home is situated to your liking? As a way to celebrate the seasonal change, we are offering a special discount on Schrock cabinetry to all customers! 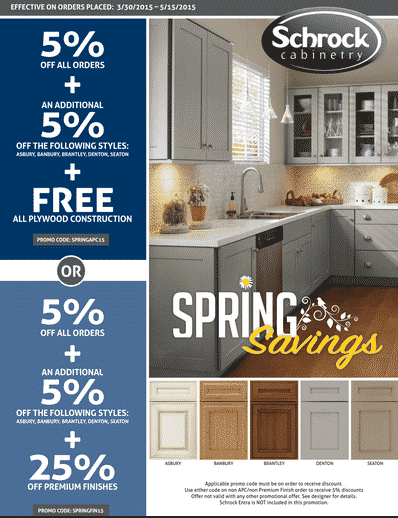 Those looking to spruce up their kitchen or partake in a complete redesign can enjoy 5% off of every order, an additional 5% off of select styles, and 25% off of premium finishes! Schrock offers a variety of beautiful finishes and styles. 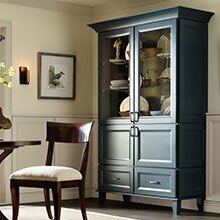 Our expert team can customize any cabinet to your need to help turn your vision into a reality. This promotion will be valid on all orders placed between March 30th and May 15th. Want to learn more? Call us at 973.636.0100 or fill out the form here.